Do you ever think that you can make money using your cell phone? I was also wondering when I heard about mobile apps that make you money and you know for what? 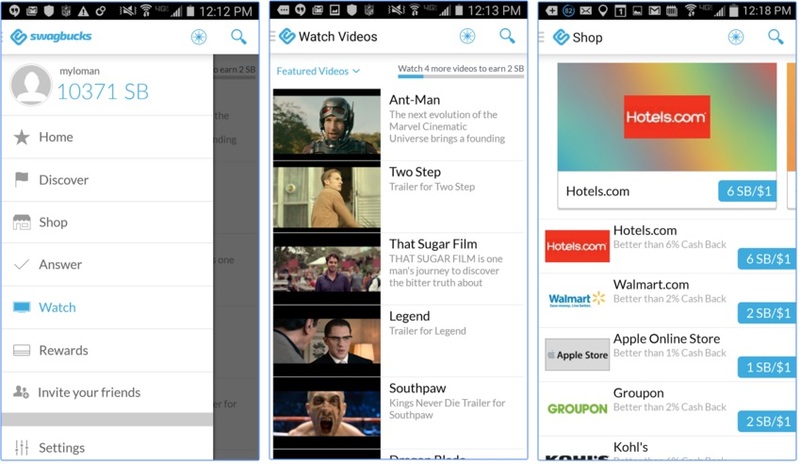 Just downloads other apps, fill surveys, watch videos and see ads. 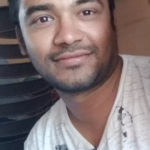 So if you have android or iPhone then you not only use this mobile to enjoy basic facility but also earn good amount of money by apps that reward you on completion of work. You can also check mobile apps which help you to get free recharge by just do some work using them. There are lots of ways of making money online but by this way you can make money from your phone while travelling or doing any other work. So you can utilize your extra hours to convert into money but So before start lets know few question about mobile app. How you can trust on any mobile app? In this big online world many apps give you lucrative offer like there apps reward you so and so but you must use precautions and first find where it is legitimate or not. By below ways you can sure whether particular apps are legitimate or not. Here I am providing you list of few mobile apps by which you can earn few bucks easily. 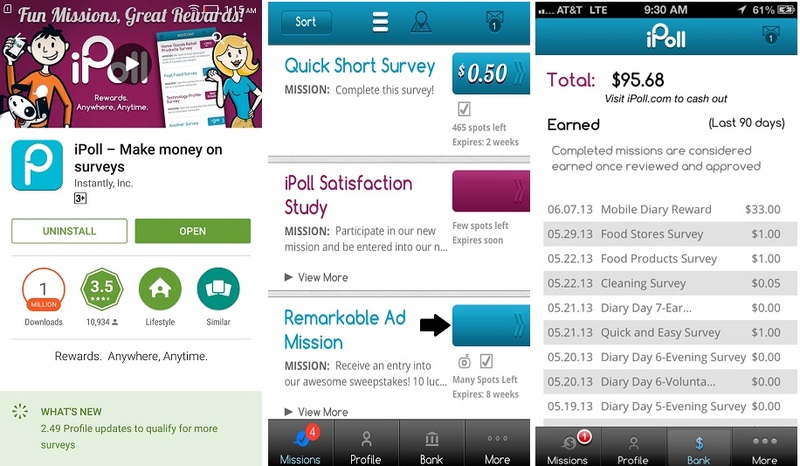 Survey on the go is best money making apps for android and here you will Get paid by just taking quick surveys on all kinds of topics right on your mobile device. Mainly for political campaign and headlines every day ask your opinion and you will get pay. This rewards App pay you real cash from $0.25 to $5 cash for your opinions, usually $1. As per peoples comment it is slow to make money but legitimate way. Frequency of survey:- You will get surveys approx every day. Once you reach US $10.00 you can cash out using your Paypal account. 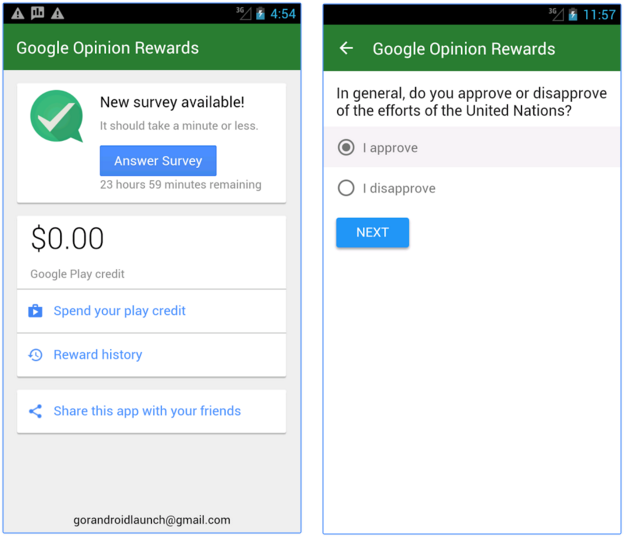 Here you will get survey once a week and you need to give answer of quick survey that leads to earn Google play credit with Google opinion rewards. 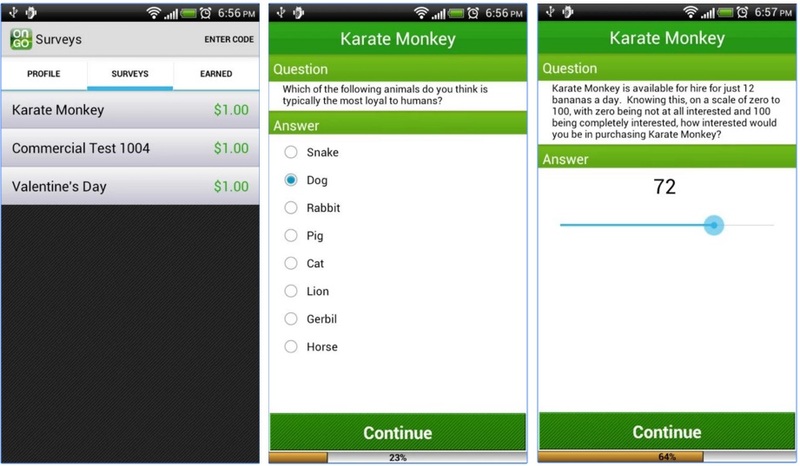 This is one of trusted and best apps to make money from your phone as created by app created by the Google Surveys team. Here you just need to answer basic question about yourself. Frequency of survey:- You will get surveys around once a week and notify on your phone when survey ready for you. Expected earning:- You can receive up to $1.00 in Play credits for completing it. Question sample:-“Which logo is best?” to “When do you plan on travelling next?” . 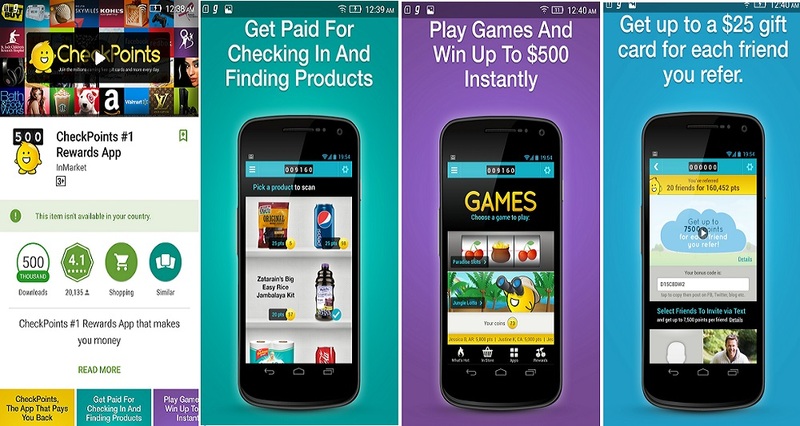 This is simplest apps that make you money by Just scan bar codes for product like coca-cola, Dreyer’s and many more in any store for instant rewards! As seen in the Washington Post, NY Times and few others so this is trusted rewards app & pays you with free rewards and no matter where you are! If you are other places then any store then also you can make money by trying new apps, watch videos, play games for more chance to earn point. Installs:- More than 0.5 million. Point with free rewards like amazon.com and walmart gift card, American airline miles, cool gadgets like popular tablets, gaming systems, and even donations to charities! Here you can get free gift cards and cash for everything you do online like Shop online, Watch entertaining videos, Search the web, taking fun surveys and find great deals to earn your points. Swagbucks claim for distribute over $160 million in free gift card by their rewards app. Frequency of survey:-You will get daily poll earning opportunity. You redeem points for gift cards to your retailers like Amazon or walmart or get cash back from paypal. You will get survey and videos for earning. Redeem your Swag Bucks anytime for $5 – $100 gift cards for Amazon, PayPal, Target, Walmart, Starbucks and more. If you are very interesting in guessing sports win prediction then put your prediction here and earn money. 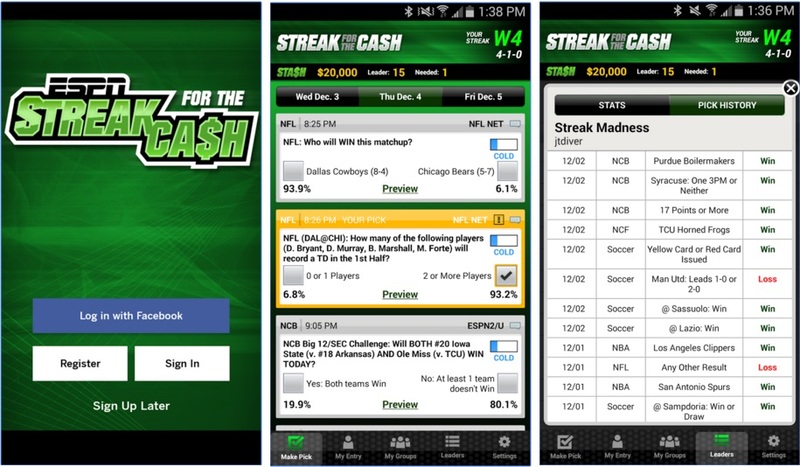 This app reward you for just pick correct from a daily list of matchups across the world of sports anytime and anywhere. If you keep a long streak of correct predictions going, you get cash rewards .You can also use Top 10 best online sports betting sites to make money online and if you are interesting in cricket then you can make good amount by join fantasy cricket Dream 11. You can pick many prediction a day. This is best apps to make money when you are aware about the product you are using and answer few question related to them and place you visit every day. This app mainly ask question related to lifestyle. What you earn:-Gift cards, airline miles, magazine subscriptions and more for you to choose from Amazon.com, Paypal, travelocity,itune and visa. You will get $5 as sign up bonus. Alerts when new missions are available . Video, photo and audio capabilities for fun and interactive reporting. More opportunities to earn rewards by taking online surveys at www.ipoll.com. Hope you like this blog post and please also suggest more mobile apps that make you money so we can add here and make it best source of apps that make you money online.